Stands at Excursions™ 2018 have just been released so book before 31st July to benefit from the special early bird discounts. Delivering over 40 years of inspiration to group travel organisers and itinerary planners, Excursions™ is firmly established as the premier national group travel trade show. Over 1,200 qualified group buyers, coach and tour operators annually attend, 48% of who are new to the show each year, representing over 750,000 group travelers. Excursions™renowned and unique location based layout enables exhibitors from across the UK and overseas to work collaboratively within their destination to build group itineraries and boost travelers to their region. On average visitors to Excursions™ 2017 booked seven day trips, two weekend breaks and three longer trips with an average group size in excess of 35, an increase of 4% over 2016. Demand for space is high at this dynamic, free entry exhibition on Saturday 27th January 2018 at Alexandra Palace, North London (10.30am – 4pm). 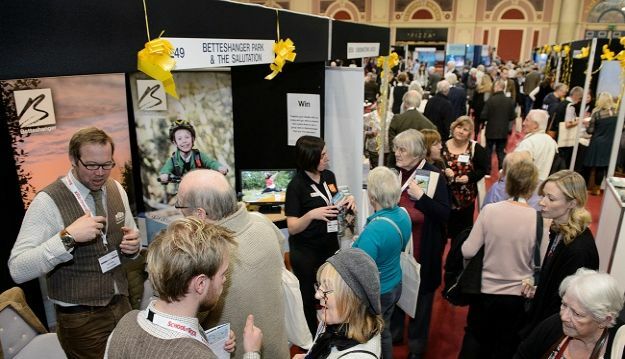 Rate cards and booking forms are now available by emailing exhibitor@excursionsshow.com or calling 023 8062 5516. Look out for the show’s new website www.excursionsshow.com, due to launch soon. You can follow Excursions™ on Twitter @Excursionsshow for news and updates or visit the show’s Facebook page at ‘Excursions Show’.